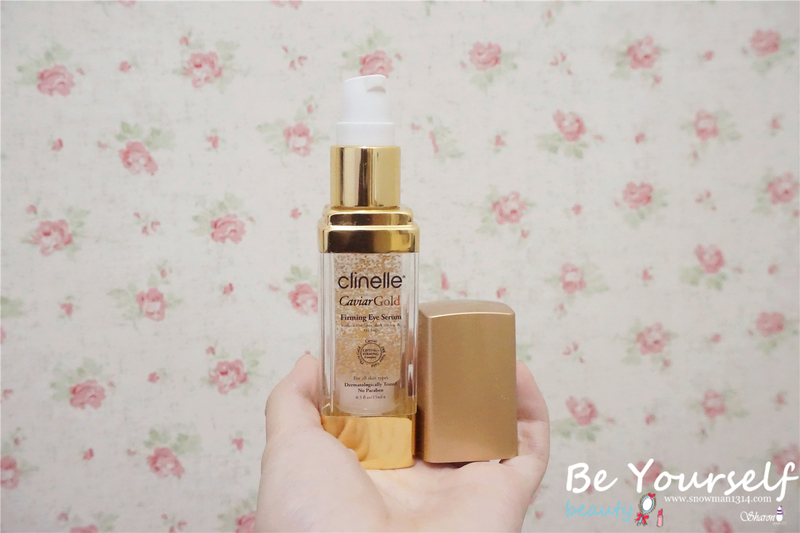 Hi my lovelies, a skin care review post is up! I am a girl who really love skin care product. My boyfriend always ask why am I so hardworking because I have to apply skin product day and night. My answer would be, If I am not taking care of my skin now, what will happen to my skin 20 years onwards from now? Will you still love for my skin be old and wrinkle? 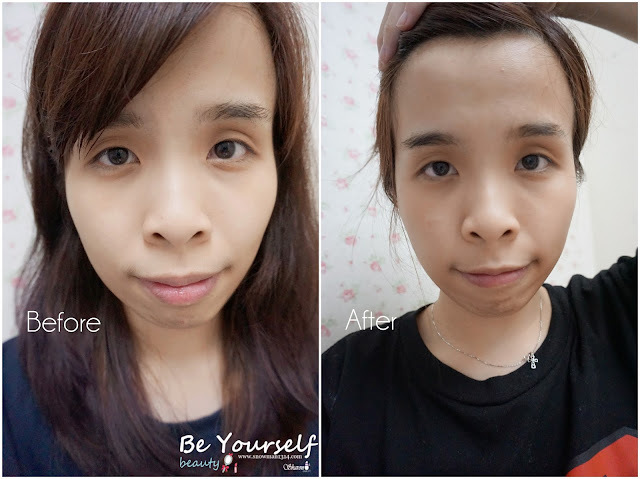 I bet every girls out there know how important to apply skin care product and even cleansing was a really important step for a healthy and glowing skin. 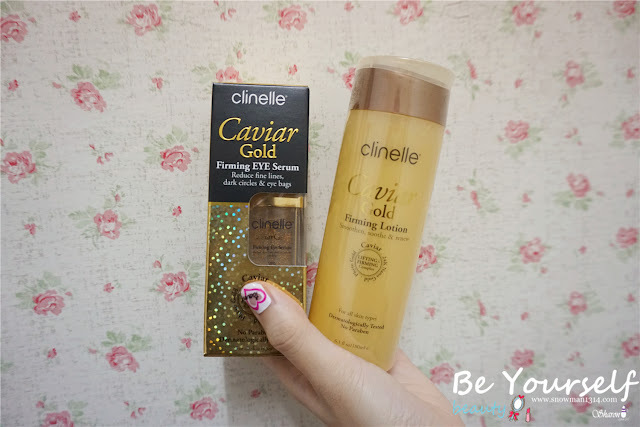 Thanks to Clinelle letting me to have the chance to review about their new series CaviarGold product. It was like a life saver for me as I love firming product so much and especially eye serum. I been suffer with my dark circles and puffy eye for quite some time. I got this 2 new Baby for my skin care routine. 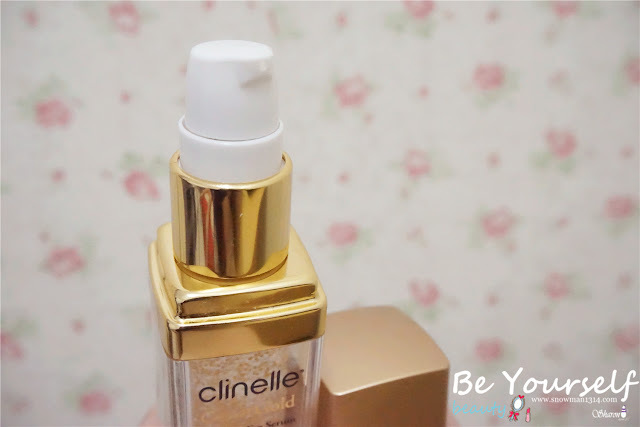 [Clinelle]Clinelle skin care made its first appearance in 2004. Since then, they have expanded our brand distribution network through chain pharmacies, independent pharmacies Malaysia and Hong Kong. With RX3 Action to Repair, Refine and Reshield skin for optimized skin health. All Clinelle products are dermatologically tested for its tolerance and also formulated with 6 secrets to happy skin which excludes potential harmful ingredients: No artificial colouring, No artificial fragrances, No lanolin, No mineral oil, No SD-alcohol and No comedogenic ingredients. Our Mission: Safe skin care products for you. 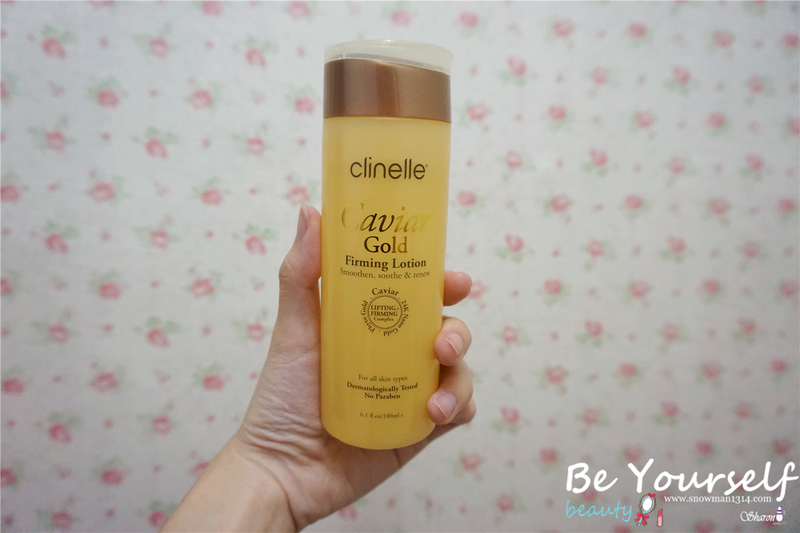 This year Clinelle come out with New CaviarGold Collection. If you have been to shop for skin product lately, not only Clinelle that comes out with Gold Series Skin care product, there some other brands also comes out with Gold Series skin care product too. What so good about 24K Nano Gold actually? What is Caviar Black Gold? Caviar is also known as "black gold". Caviar is one of most expensive foods in the world. It is a delicacy made of tiny fish eggs that are processed and salted. Caviar Extract is uniquely structured to deliver these potent nutrients directly to the cellular level of your skin. Caviar has a cell format similar to human skin and is very rich in nutritious elements, including proteins, minerals, vitamins (A, D, E and K), anti-oxidants and lipids, which contain an abundance of polyunsaturated fatty acids such as Omega 3. It has peerless whitening and brightening effect, is combined to complement this firming and lifting formulation. It is proven with 80 times more effective than Arbutin whitening. Going to the core of discoloration and age spots, it treats both the source of the problem and alleviates its visible signs by inhibiting the formation of melanin and infuse the skin with light and energy to ensure a clearer, more even-toned skin. CaviarGold series is especially for firming and lifting complex. This special product is suitable for all skin types and dermatologically tested. 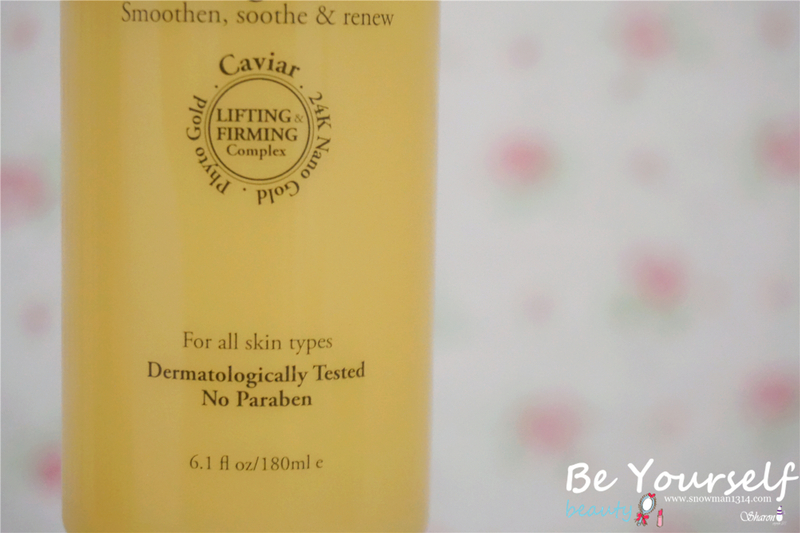 This firming lotion gives really soothening and smoothening feel once you apply. It quickly absorb to skin and leave the newly refresh skin everyday. The opening of CaviarGold. Maybe some of you might not like the design for the opening as it was flat and hard to pour out. For me I am still okay for this design as the side won't be easy clog with the essence of the product. Not much strong smell but just merely a fresh and nice fragrance. The texture is so smooth and soothening! 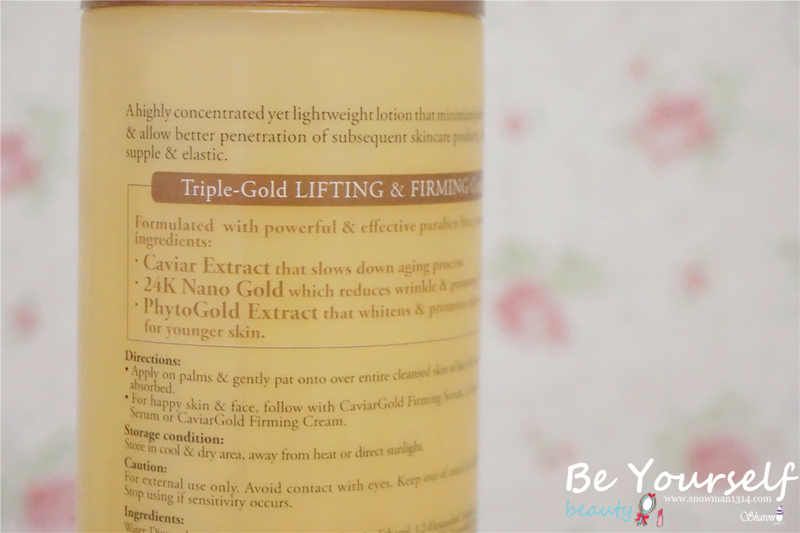 Can you notice the 24k Nano Gold essence, that is the bling bling gold essence in the firming lotion. I really love its texture and color as I am the girl who like bling and gold stuff. Guaranteed with 6 Nos in their skin care product. 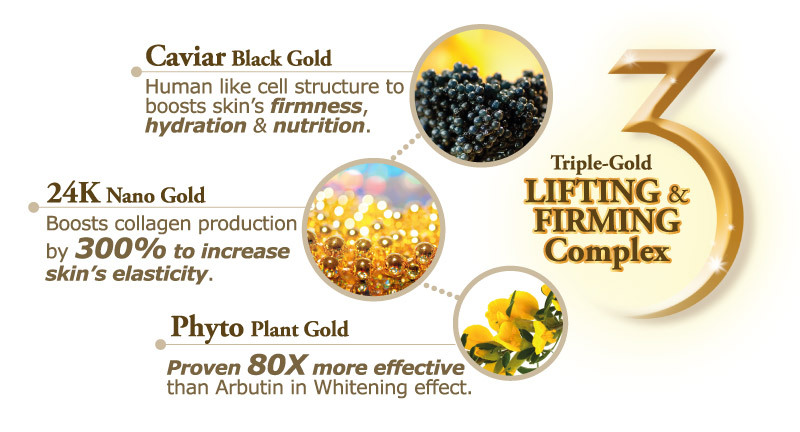 3 main ingredients have 3 different function but promise to gives you Firming and Lifting Complex. 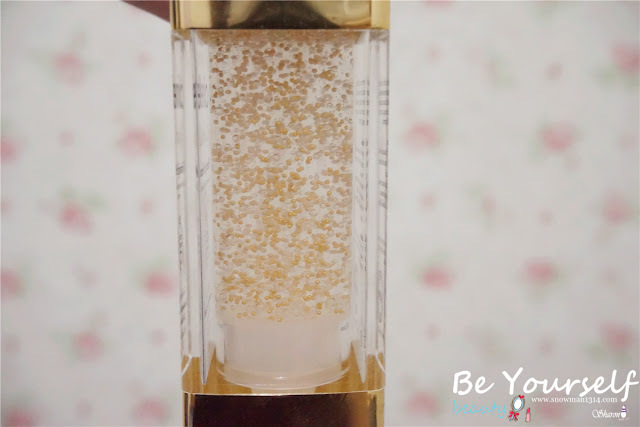 24K Nano Gold | Reduce wrinkle and promotes V contouring. Apply on palms and gently pat onto over entire cleansed skin of face and neck until thoroughly absorbed. 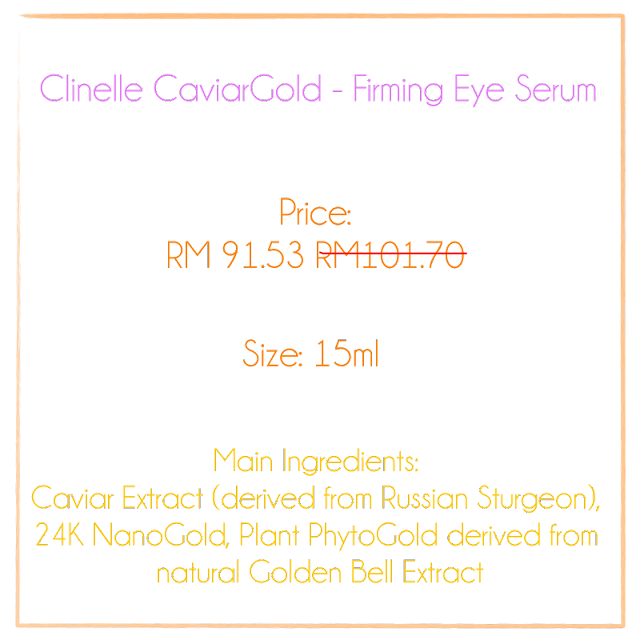 Finally I have an eye serum that helps with my reducing dark eye circle and firm my eye wrinkle area. Clinelle CaviarGold Firming Eye Serum helps to reduce fine lines, dark circles and eye bags too. The texture full with the essence of the 3 main ingredients. I really love this product and the packaging. Clear bottle and it was really classy design and you can see through the essence of this eye serum. 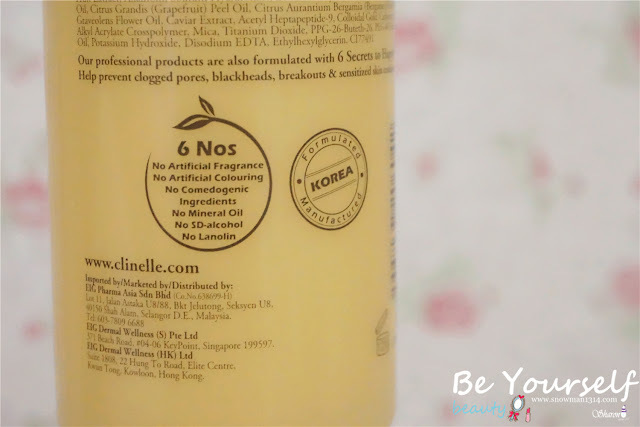 Formulated and Manufacture from Korea. The overall packaging design comes with rectangular bottle. Cover was really simple just open and it will easily open up. Pump Dispenser that you can control and pump out the amount that you need for your eye area. Texture is really soft and full with Gold Essence. 1. 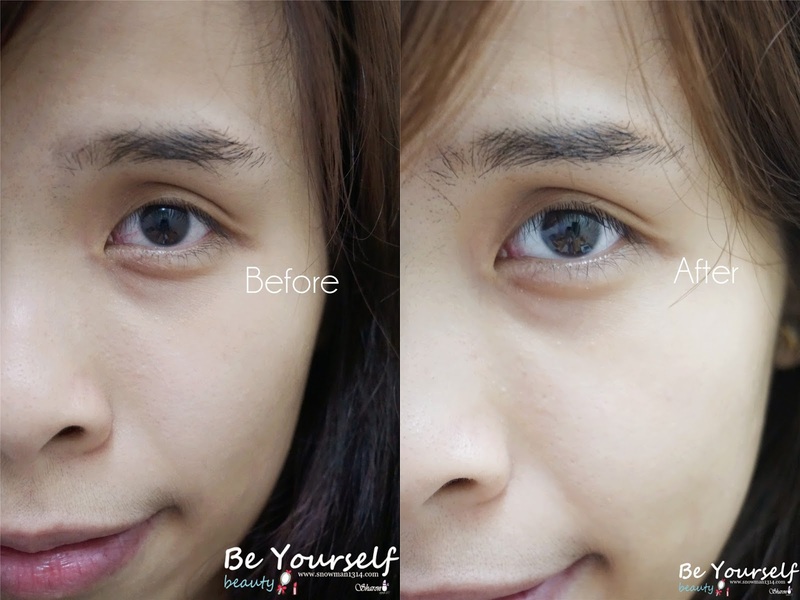 Apply a small amount around targeted eye area after cleansed and toned face. 2. Gently massage in circular motions until are thoroughly absorbed. 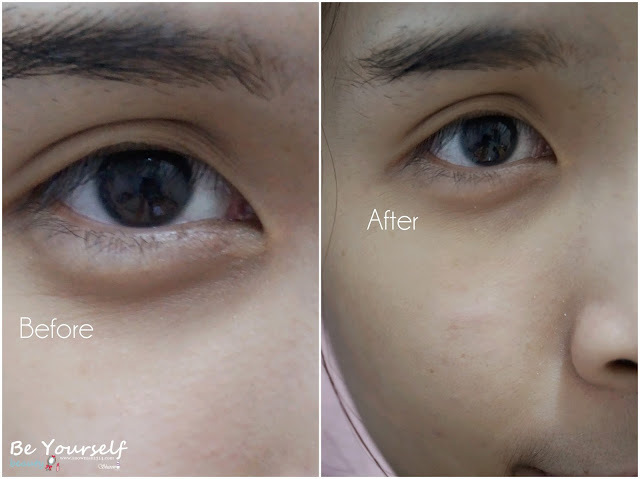 My left eye before and after using Clinelle CaviarGold Firming Eye Serum. My right eye before and after using Clinelle CaviarGold Firming Eye Serum. There is 3 R that helps to repair our eye skin area by slowing down our aging process. Not forget 24k Nano Gold helps to refine our fine line and wrinkles around our eye area. V contouring is to help reduce our eye puffiness and eye bag. 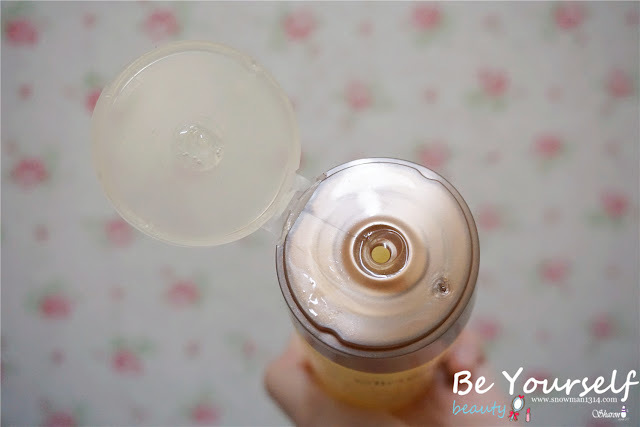 Lastly, reshield back our skin to look more younger and refresh. 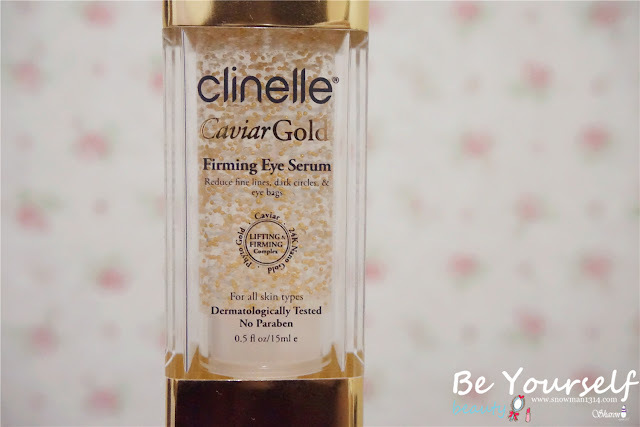 The image above shows the different of my eye before I start to use Clinelle CaviarGold Firming Eye Serum and after 2 weeks I using it. My eye less puffy and fine wrinkles has been reduce too. I like the effectiveness of reducing my eye bag in two weeks time. My aunt even say my skin looks more glowing nowadays. 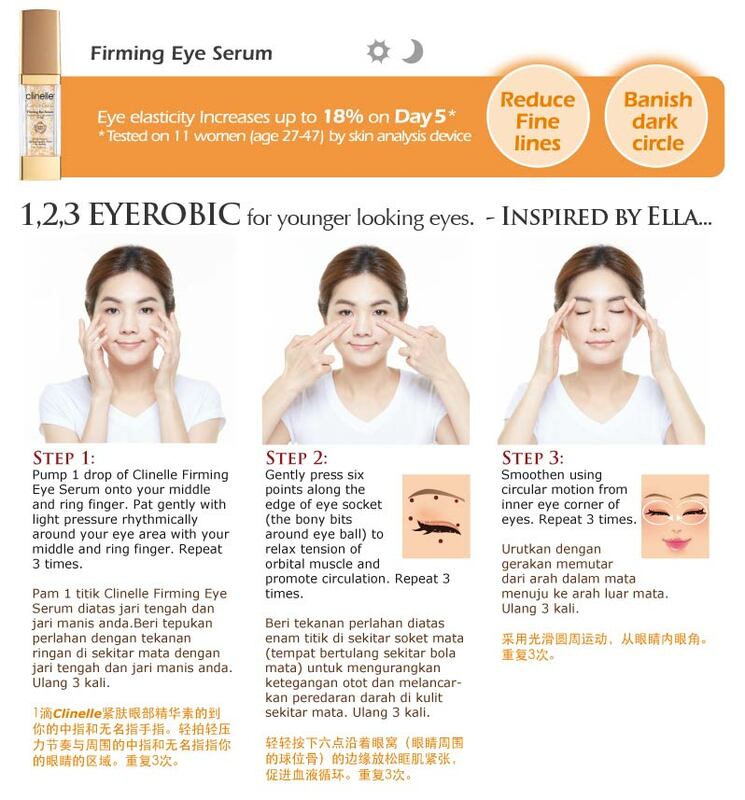 Share some Ella Inspired eyerobic for a effective eye massage. 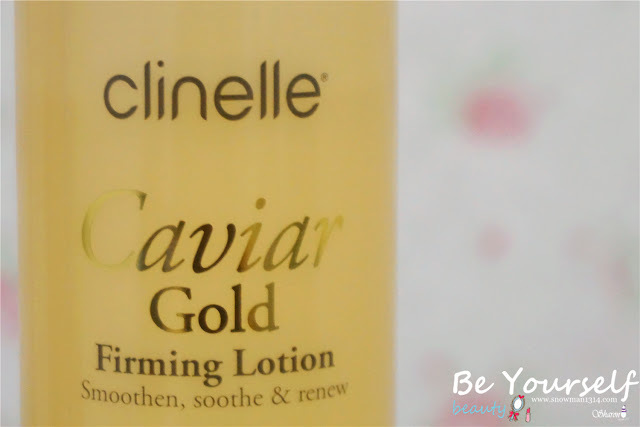 Overall I am satisfied with Clinelle CaviarGold, but if you wish to achieve more Firming and Lifting Complex. 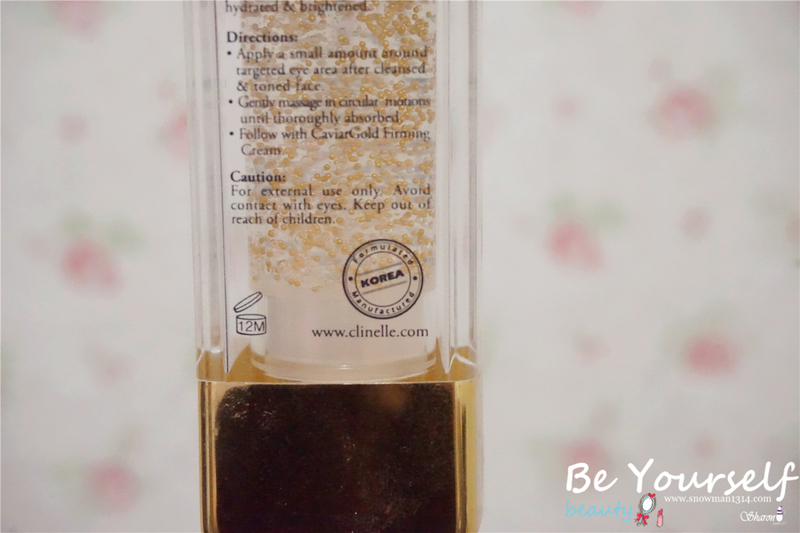 You can always visit their websites to purchase their full range of Clinelle CaviarGold. thanks dear =) should go and buy too! wow i know nothing about eyerobic, must try it out with the gold. it's definitely true you have to start taking care of your skin from young and not wait until aging signs appear, kudos to you. Hi Sherry, I am using sony A5100 indeed it was a really nice camera <3 hehe! 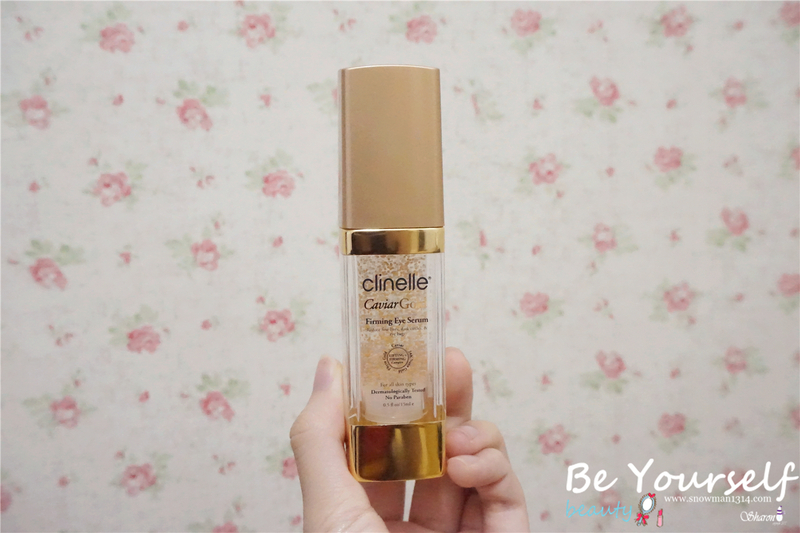 I tried their caviar gold eye serum too and totally love it. I would love to try out their firming lotion too. Good review dear! Wow.. can see the gold specks in the product! Really informative review on the product dear! That's what I thought too! But I never research much on that product though xp Really? then you should go and buy as they have RM20 Off and free shipping too when purchase rm100+!! Clonal fan here!But have not check out this products. Thanks for sharing your review. I shall try this product too! wow the results are really visible! thanks for the discount code babe. major love. So gold and nice... And the result is incredible.. Nice one! the eye serum actually looks amazing with all those caviar like particle inside! Like the way u put up before & after, detailed enough! :D good job!